Resolution: This can be done but will require a submission through the RFQ process.The Schlage B500 and B600/700/800 deadbolts have an inside indicator rose option for select functions. The indicator reads "LOCKED" with an arrow showing the direction the thumbturn must be rotated to throw the deadbolt. The occupants in the room know the deadbolt is thrown and the door secured if the thumbturn is located in the direction of arrow (see Figure 1). The LOCKED inside rose is available for the B560, B571, B580, B581, B660, B760, B860, and B680. The part numbers are listed in Table 1 and are handing specific. Table 1: LOCKED inside rose part numbers. 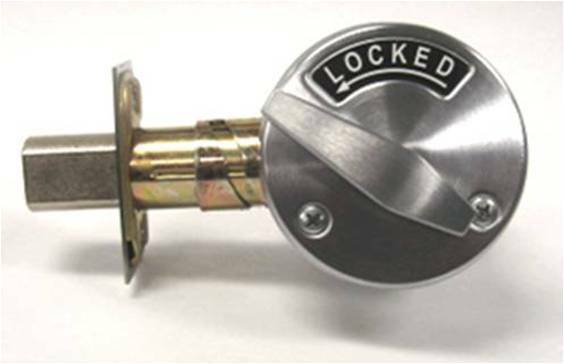 Figure 1: LOCKED inside indicator rose on the Schlage B560 deadbolt.